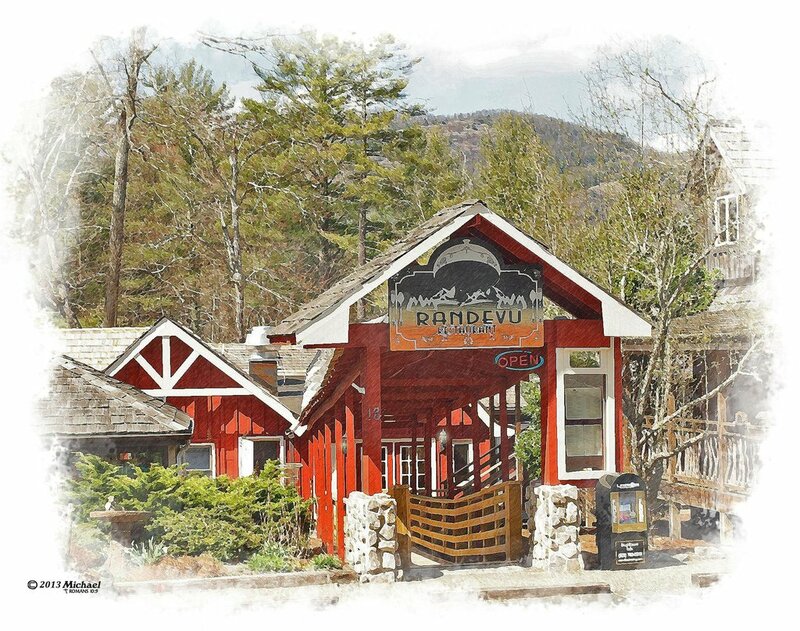 Located in a quaint, barn-like setting with large windows that overlook the pond and grassy field outside, Randevu is known as "the place to meet in Cashiers." Its bright red exterior welcomes you into the casual and relaxed space. Coming from a long line of bakers and chefs, Owner Chris McDonald decided to use his 30-plus years of expertise to open Randevu. The bistro-type menu features omelets, waffles, and eggs benedict for breakfast, burgers and sandwiches for lunch, and an array of specialty dishes such as bone-in ribeye steaks, lobster tails, the Gulf red snapper, and chicken piccata for dinner. Guests rave about the restaurant's Wicked Fish Wrap, which has battered fried cod topped with pico de gallo, lettuce, avocado, crushed tortilla, red onion, havarti cheese, cilantro cream and Thai chili. When it is warm out, grab a seat on the patio to enjoy the fresh mountain air!